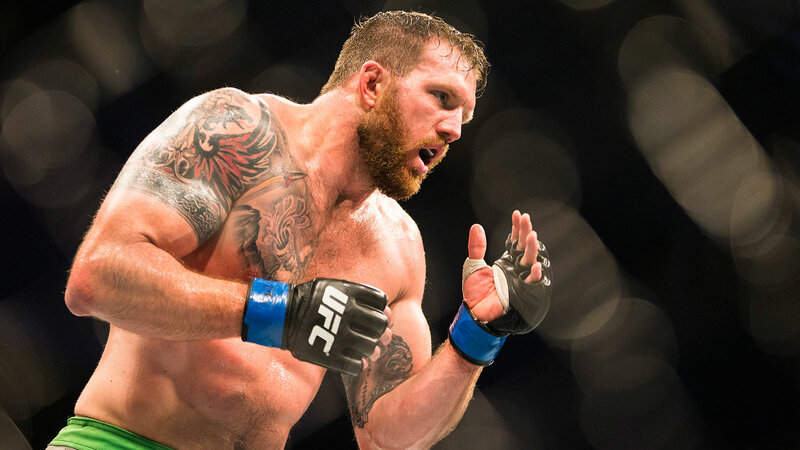 As disappointed as Ryan Bader was finding out that he wasn’t going to get the next shot at the UFC light heavyweight title, he saw the writing on the wall as soon as Jon Jones was reinstated from suspension, which cleared the way for a championship rematch with Daniel Cormier. Bader was already arguably the No. 1 contender in the division when Cormier defended the belt in Jones’ absence against Alexander Gustafsson last October at UFC 192. Bader would love to pretend he was seething with anger, but he knew if Jones was reinstated after being stripped of the belt when he was arrested in connection with a hit-and-run car accident last April, that he would likely get the first crack at the belt upon his return. Instead, Bader got matched up with Anthony Johnson at next weekend’s FOX UFC Fight Night card in Newark, and while he’s also been promised a title shot with a victory, the former "Ultimate Fighter" winner isn’t exactly holding his breath. I don’t think it’s a given that Jones just goes out there and beats Cormier again. Cormier is that much more seasoned and been through that much more since that last fought. "When I heard Jon Jones was reinstated, I pretty much knew I was going to have to fight at least one more time," Bader told FOX Sports. "We got this main event on FOX, which is a huge stage and fighting Anthony Johnson, who is up there and one of those guys who will put you on that pedestal next. Dana (White) said something about beating him will garner me a title shot, but you never know with that. A lot of people heard that before. "I can’t control any of that, I can only control what’s in front of me. There’s too many variables so I’m just going out there and looking at this fight right now and worrying about Anthony Johnson." Part of the reason why Bader is still skeptical about a potential title shot is the looming rematch between Jones and Cormier that is expected to take place sometime during 2016. Current rumors have the bout happening in April, but until those two fight again, the rest of the contenders at light heavyweight are stuck in limbo. The other reason Bader is hesitant to anoint himself as the top contender with a win next weekend is the chance that Cormier defeats Jones, which would then lock them at one win a piece and could easily set the stage for a trilogy. Jones defeated Cormier at UFC 182 last January by unanimous decision and while the former Olympic wrestler had his moments, he never got truly close to taking the title away from the incumbent champion. While the role of champion and challenger are reversed in the rematch, Jones will still be a heavy favorite to beat Cormier a second time and walk out of the arena with the title belt back around his waist. Then again, Bader says don’t jump to conclusions just yet and assume that Jones will beat Cormier because he defeated him the last time. "I will say with Cormier with these last championship fights, going out there and being tested like that and knowing how it feels to muster up the energy and mentality to get through those fourth and fifth rounds with (Alexander) Gustafsson and all that kind of stuff and having already fought Jones. I think it’s anybody’s fight really," Bader said. "I think DC can win that fight and I obviously know Jones can win that fight." "I don’t think it’s a given that Jones just goes out there and beats Cormier again. Cormier is that much more seasoned and been through that much more since that last fought." Bader also wonders if Jones’ offseason program where he’s added a lot of muscle to his body might ultimately have a negative effect when he steps into the Octagon. Bader doesn’t deny that Jones is one of the best fighters of all time, but messing with the chemistry that got him to the gold in the first place could be more curse than blessing. "It’s just really how Jones comes back from what he’s doing," Bader said. "I’ve seen some pictures of him. He’s massive and muscled up and that may make him an even more dangerous fighter or maybe it throws something off that previously made him so great. Who knows?" Either way if Bader gets through Johnson next week, he’ll have a vested interest in the outcome of Jones vs. Cormier when it finally takes place later this year.